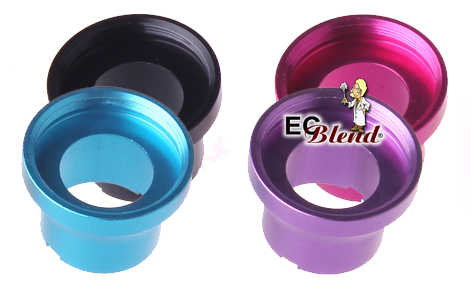 This cone replaces the bottom locking cover on the 5ml Universal Dual Coil Tanks. Unscrew the existing bottom cap and replace it with this one. Slips right over the eGo threads on your existing battery. Tank Instructions: Do not overfill. Let sit for 5-10 minutes after filling. After filling check to make sure it is fully saturated. I got a black one to match my black battery and black rank.take off the locking rting of your tank and screw this piece onto the tank itself rather than the battery like the other cones.look great! Click the button below to add the Adapter - SmokTech - Anodized Cone for 5mL Tank to your wish list.